Organisers Shropshire Festivals say the three-day event – based around Shrewsbury’s Quarry Park and in the town itself – has already sparked an unprecedented demand for tickets. Last year’s inaugural event saw more than 10,000 enjoy the combination of beer festival, live music and top-drawer comedy, but Shropshire Festivals boss Beth Heath says this year’s event already looks like being even bigger. “Ticket sales have been unlike anything we’ve ever seen before, and at £10 for entry into the biggest Shropshire beer festival ever we seem to have caught the county’s party spirit in the creation of this event,” she said. 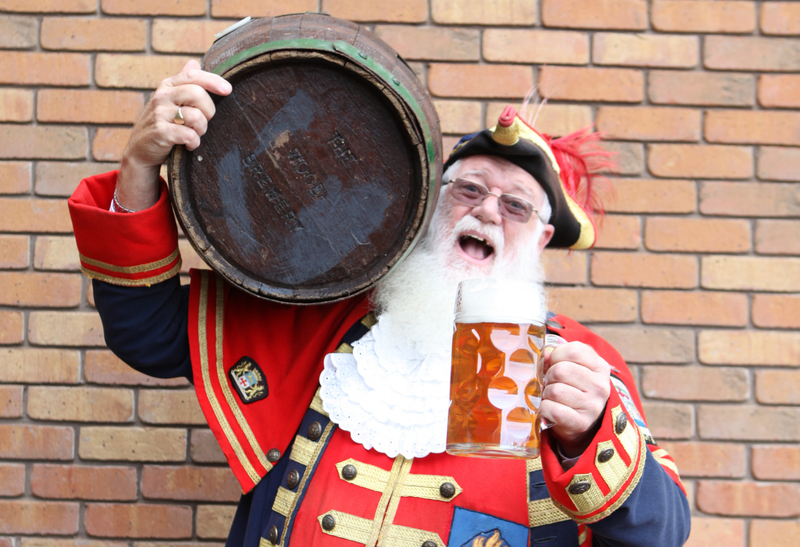 This year’s event will see a selection of 200 real ales under one roof, alongside a lager bar, prosecco parlour, gin den and even a rum shack. And to make the most of the autumn harvest, a new cider area will take centre stage at the festival, which runs from October 5-7. The Comedy Club will feature an unbeatable line-up of stars, such as TV favourite Junior Simpson, BBC radio star Keith Carter and Manchester funnyman Chris Brooker. Meanwhile there is a fantastic line-up of music planned for the Rees Astley stage, showcasing both traditional Oompah sounds and the best local stars. Beth said this year’s event would build on the success of 2017, with the Sunday being earmarked for a particularly family-friendly day. “Among the things which are new for 2018 is a light show in the huge beer tent with Andy McKeown commissioned to make the space a show in its own right. The event’s location within walking distance of Shrewsbury Railway station meant it was ideal for people who did not want to drive but wanted to make the most of the drink and food on offer, she added.